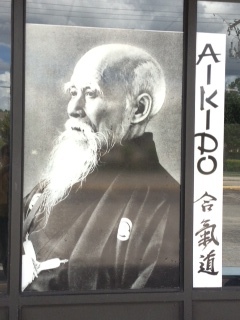 Join our Aikido family and experience the difference... a sense of community and tradition. 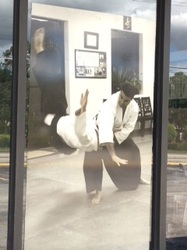 Our dojo is celebrating its 10th year of Aikido training in Winter Springs, Florida. 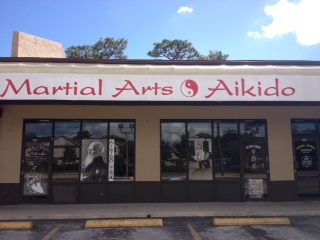 We hold the privilege of being the only United States Aikido Federation (USAF) dojo in the Orlando area, under the direction of Sensei Yoshimitsu Yamada - Shihan, direct student of the founder of Aikido, O'Sensei Morihei Ueshiba. In our 10 years of training Aikido students in Central Florida, we have trained and sponsored five 1st degree black belts, one 2nd degree black belt, and one 3rd degree black belt, who earned their titles under the rigorous and thorough testing of the USAF technical committee. 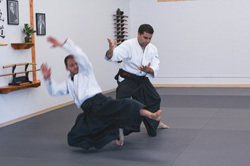 Our instructors are certified through the United States Aikido Federation & Hombu Dojo World Headquarters Japan, and have many years of Aikido experience in training, regular seminar attendance, and teaching. The students at our school are positive, friendly, and sincere in their commitment to training in Aikido. Our instructors are all approachable and knowledgeable. We welcome you to join us for a class or two to experience why we love to train in Aikido, and to see if our style is a good fit for you. Floating Floor System: our floor is made of birch plywood with foam blocks for support, preventing the floor from touching the concrete, creating a springy/floating surface, which assists in injury prevention. The flooring is covered with 1" thick tatami-style matting. This an excellent system for ukemi (falling). Our location is central to Winter Springs, Longwood, Lake Mary, Oviedo, Casselberry, Sanford, with easy access from the I-4 Winter Springs -Longwood exit.